Born 1987 in Kutná Hora, currently she lives and works partly in the Czech Republic and Australia. She works mostly with an Art photography and all her artistic projects are shot on medium format film material. Graduate of the Institute of Creative Photography at Silesian University in Opava comes from Kolín, which is known for its modernist photographic tradition thanks to world-renowned personalities such as Jaromir Funke, Josef Sudek and Eugen Wiškovsky. The young photographer neatly follows this strong artistic line with an innovative approach and a fresh, introspective view of reality. Kristýna Erbenová was presented for the first time in 2011 by the cycle Fragile Moments, which was sort of an entrance to the loneliness, when one wants to hide from the world and curl up into himself. A year later, the author began photographing another series of Private Territories when she was interested in landscape anomalies. Half-broken secluded house or bare tree in the middle of the moor. She searched for almost identical motifs also in the "In The Darkless series", which she's been continuously working on since 2014 and shoots exclusively at night. 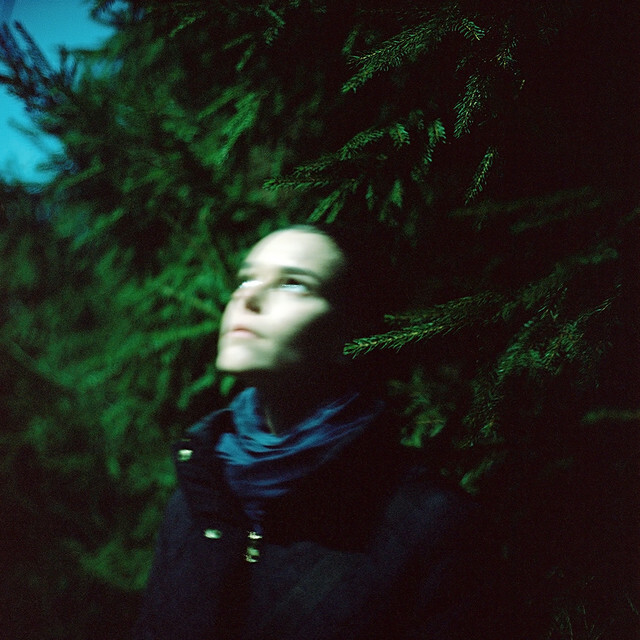 Christina captures her night trips to the landscape illuminated only with moon and stars. During her lonely travels through space, she intensifies her perception - she sharpens her senses, switches to an intuitive and instinctive mode. In the dark, she searches for authentic, strange and unusual places that are shot on a long exposure. She discovers for herself and for us, how the world would look like if we were able to see at night. Kristýna Erbenová has already had a number of solo and group exhibitions in the Czech Republic and abroad. Her work was published and positively reflected in the professional press and media (Atelier, Týden, Lidové noviny, Prager Zeitung, Prague Post, FOTO magazine, VICE, Czech Radio Regina and Vltava, ČT Art...). The works of Kristýna Erbenová are represented in both private and gallery collections in the Czech Republic and abroad.